A team led by biochemists at the University of California, San Diego has found what could be a long-elusive mechanism through which inflammation can promote cancer. The findings may provide a new approach for developing cancer therapies. 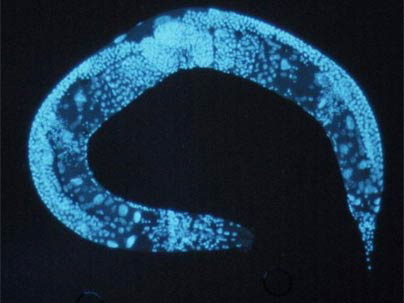 The study, published in the January 26 issue of the journal Cell, shows that what scientists thought were two distinct processes in cells–the cells’ normal development and the cells’ response to dangers such as invading organisms–are actually linked. The researchers say that the linkage of these two processes may explain why cancer, which is normal growth and development gone awry, can result from chronic inflammation, which is an out-of-control response to danger. How does your brain respond when you think about gambling or taking risks? Should you leave your comfortable job for one that pays better but is less secure? Should you have a surgery that is likely to extend your life but poses some risk that you will not survive the operation? Should you invest in a risky startup company whose stock may soar even though you could lose your entire investment? In the Jan. 26 issue of the journal Science, UCLA psychologists present the first neuroscience research comparing how our brains evaluate the possibility of gaining versus losing when making risky decisions. Antibodies that selectively bind and destroy cancer cells represent some of the most promising cancer therapy approaches being developed today. Several of these antibodies have reached the market, including cetuximab (Erbitux®, ImClone Systems), which targets the epidermal growth factor receptor (EGFR) protein. However, a study conducted at the Dana-Farber Cancer Institute and the Ludwig Center at Dana-Farber/Harvard Medical School now suggests that antibodies binding a particular protein conformation, caused by hyperactivation, might have distinct therapeutic advantages over antibodies, like cetuximab, that bind to wild-type (normal) target proteins. The last few years have been very good to ribonucleic acid (RNA). Decades after DNA took biology by storm, RNA was considered little more than a link in a chain–no doubt a necessary link, but one that, by itself, had little to offer. But with the discoveries of RNA interference and microRNAs, this meager molecule has been catapulted to stardom as a major player in genomic activity. Now, a team of scientists led by David Bartel, a professor in MIT’s Department of Biology, has discovered an entirely new class of RNA molecules. 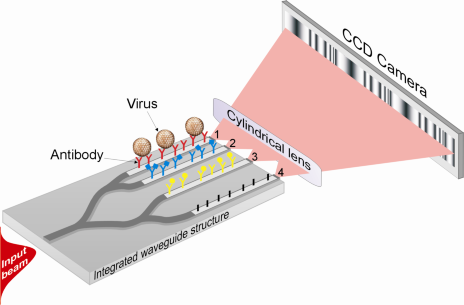 Scientists of the Biophysical Engineering Group of the University of Twente in The Netherlands have developed an ultrasensitive sensor that can be used in a handheld device to, within minutes, detect various viruses and measure their concentration. The sensor could be used to quickly screen people at hospitals, airports and emergency clinics to control outbreaks of diseases such as SARS and the bird flu. All it would take is a tiny sample of saliva, blood, or other body fluid. Typically, when someone places a bet—be it on a sporting event, obscure trivia or where the ball in a roulette wheel will land—he or she is fully aware of the decision to do so. And now scientists at Oxford University in England have discovered that they can better determine if decisions in general are conscious (or subconscious) by having subjects literally gamble on, well, their decisions. The researchers, reporting in this week’s Nature Neuroscience, found that study participants were reluctant to wager big bucks unless they were confident in their choices, indicating that they knew full well what they were doing. Read rest of the story at Scientific American. Duke University Medical Center researchers have discovered that activation of a particular brain region predicts whether people tend to be selfish or altruistic. “Although understanding the function of this brain region may not necessarily identify what drives people like Mother Theresa, it may give clues to the origins of important social behaviors like altruism,” said study investigator Scott A. Huettel, Ph.D., a neuroscientist at the Brain Imaging and Analysis Center.